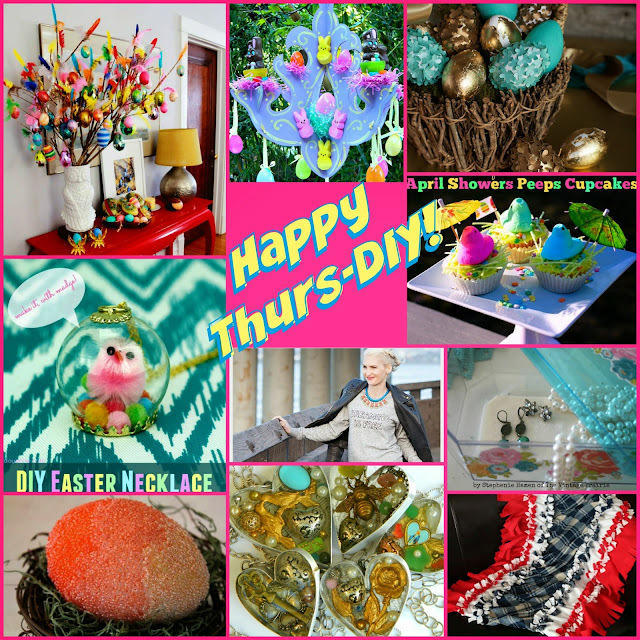 Tons of colorful fun on this very happy #Thurs-DIY! 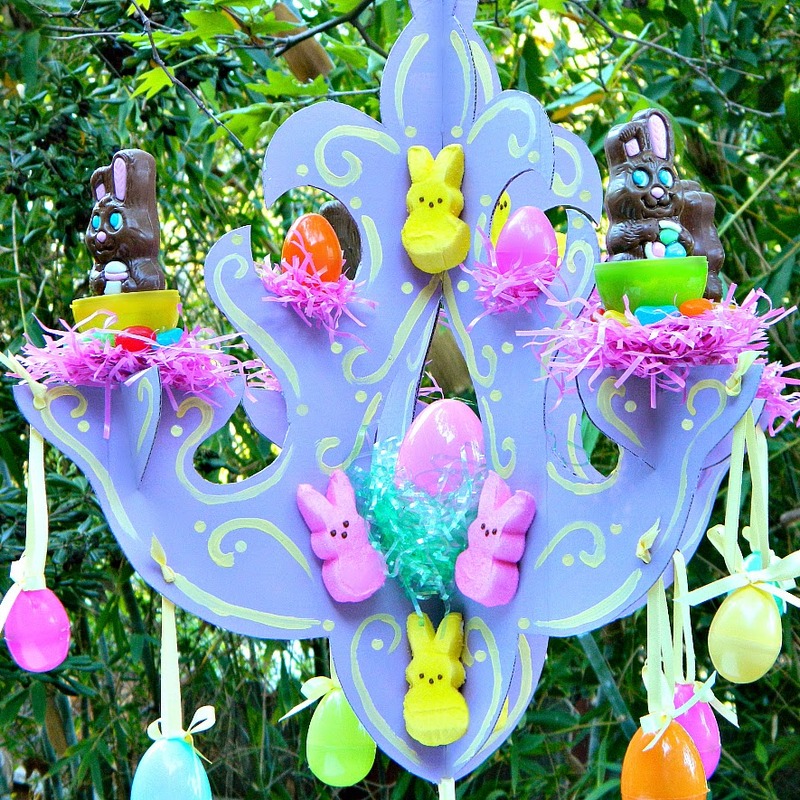 We have Easter eggs and Easter tree and an Easter Chandelier complete with chocolate bunnies. 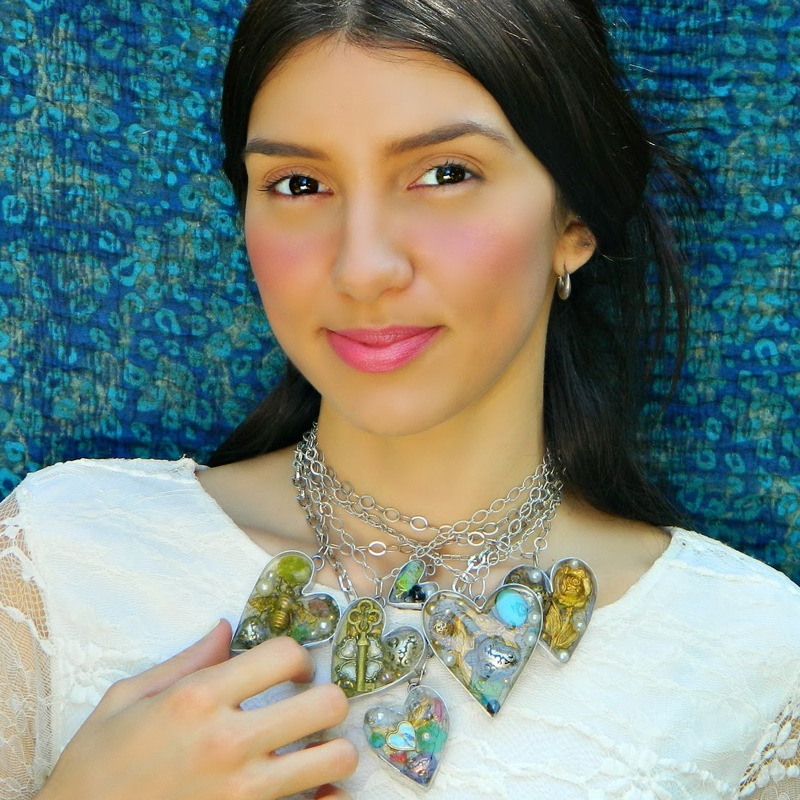 Hop around and get inspired. 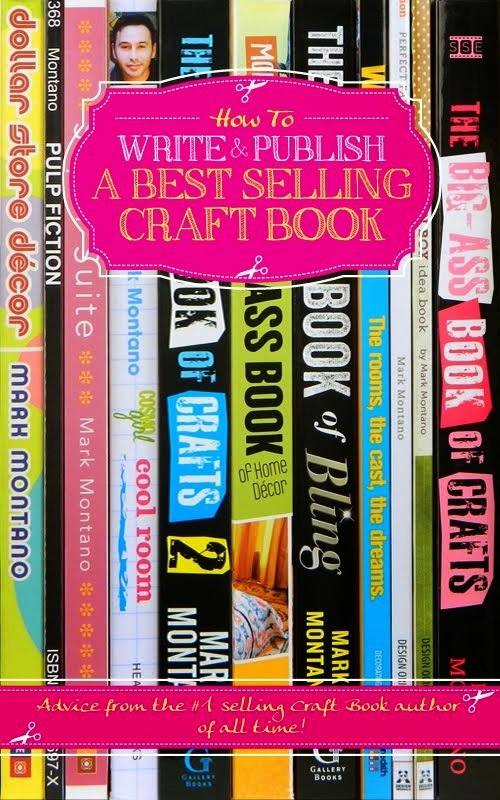 Don't forget to tell them I sent you. 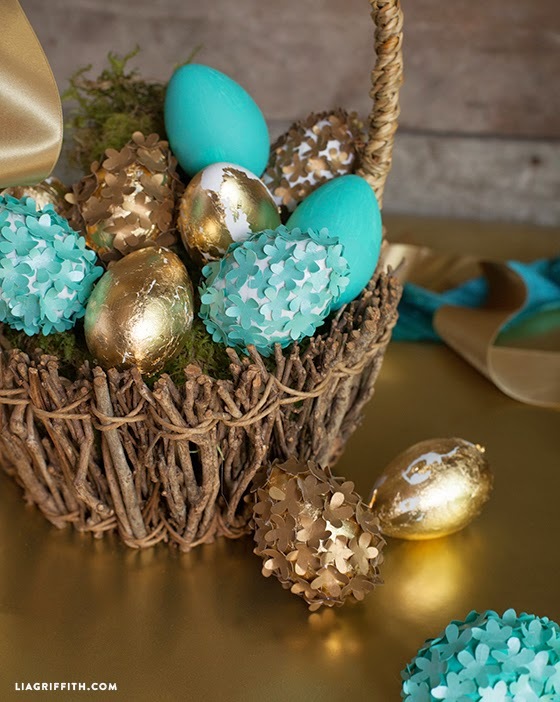 Lia Griffith wows with her beautiful floral Easter eggs! 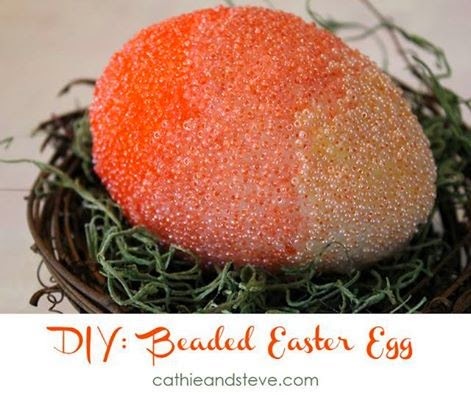 Cathie Filian decorates Easter eggs with seed beads! 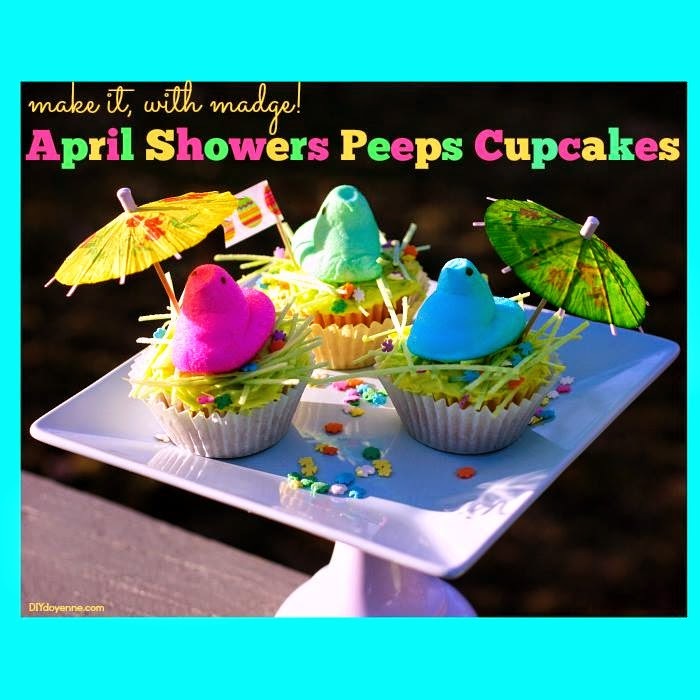 Margot Potter makes Peeps cupcakes and I want them! 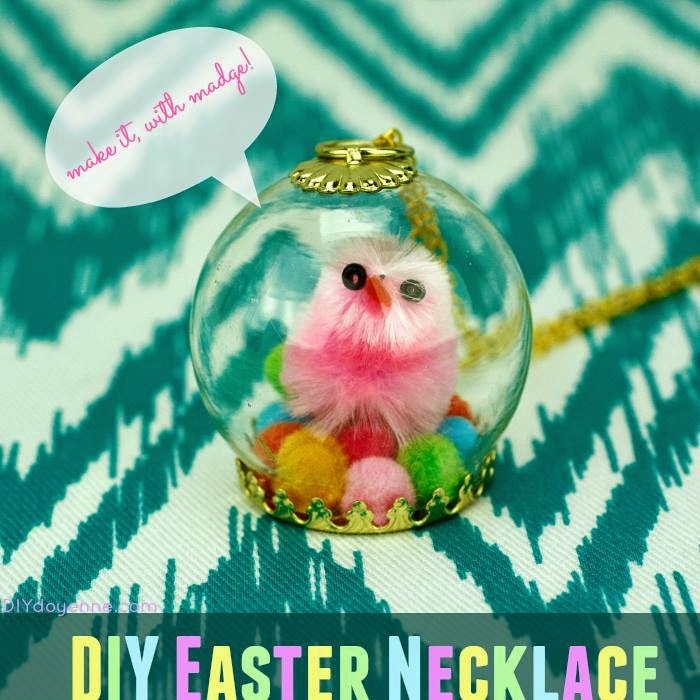 Who wouldn't wear a cute little Easter necklace? 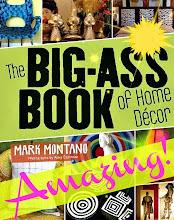 I know I would! 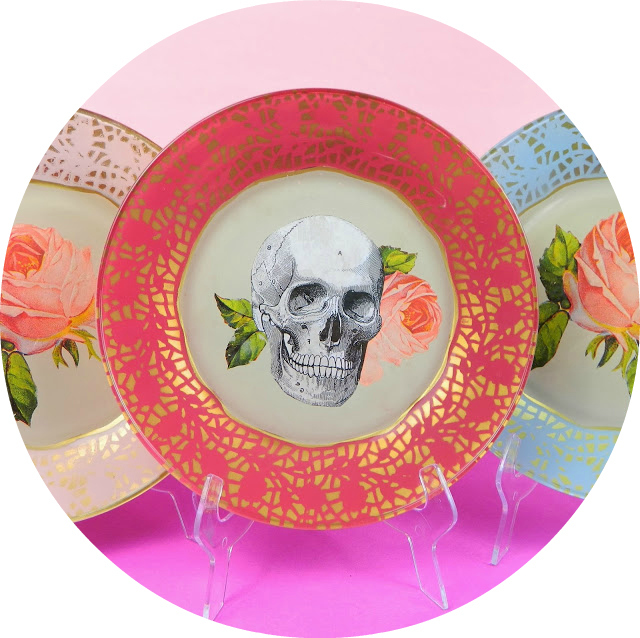 Love it Margot! 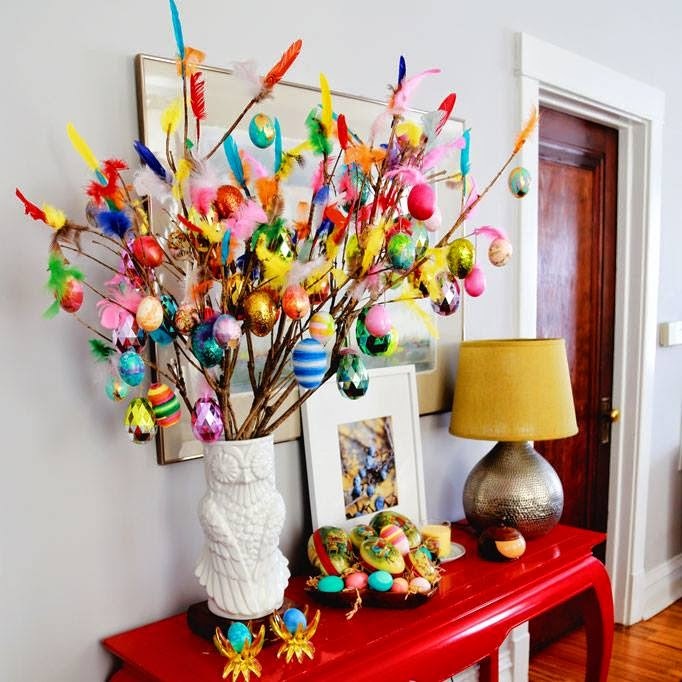 Aunt Peaches makes a beautiful Easter tree! 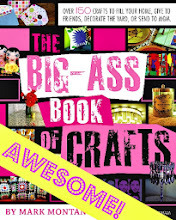 Cathy Attix makes a super fun sweatshirt! 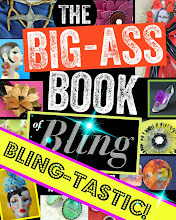 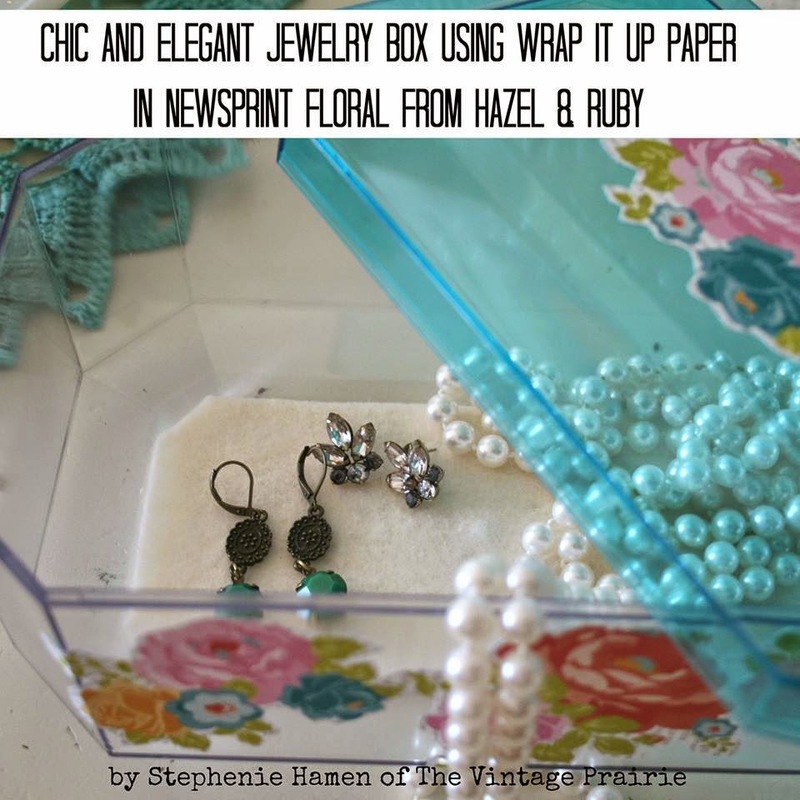 Stephenie makes a pretty decoupage jewelry box! 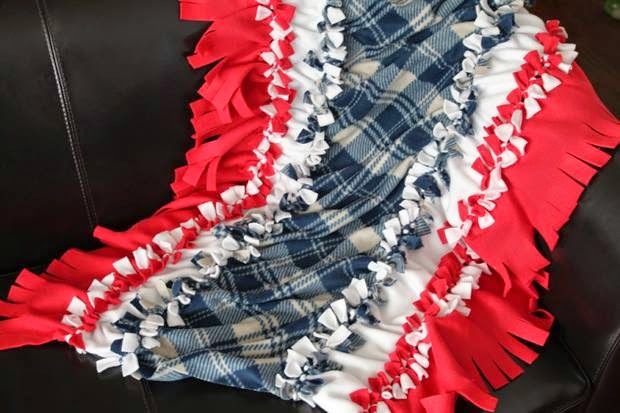 Megan makes a gorgeous knotted fleece blanket!